The majority of my weekend consisted of feeling sorry for myself after drinking far too many free drinks from a work party Friday night, and putting up flat pack furniture. But in the time that I did have spare I spent a massive portion of it on NBA2k15 and the remaining free time on Mario Kart 8. Things are actually going amazingly well in MyCareer in 2k15. Toronto Raptors results since I’ve been playing have been 24-4. With that run of games it put our overall season record to 55-27. Our second from last regular season game was against the Miami Heat who were in 3rd, but by getting revenge from a L to them (one of my 4 L’s), we leapfrogged them to 3rd. A Final regular season win over the Hornets wrapped 3rd place up in the Eastern Conference for the Raptors. Pretty chuffed to make the playoffs in my first season. But something just clicked in the final run of games. I ended up winning Eastern Player of the week twice and won Eastern player of the month in the final month of the season. To say I dragged Toronto to the playoffs would be a pretty accurate statement. I also beat that season’s record registering 13 3 pointers in a game to claim that record, and smashing 60 points in the final game of the regular season to earn the record of most points in a game for that season. So here we are, Raptors in the playoffs. My first round opposition was against the Charlotte Hornets. I was feeling a little confident about this draw having won the regular season series against them 4-0 (although I only played 2 of those games). But I should have worried, as it’s the playoffs I assume players are more determined, and they certainly made difficult work of the series. We won the first 3 games 2 of which were home and 1 away. But we lost the 4th game away, in a way though a blessing as it meant we were back in Canada for game 5 which could be the decisive match. And we won, in front of an epic home crowd. 4-1 win and picking up player of the match in 3 of the 5 games. Where I’d meet Miami Heat. I’ve played the first game of this series so far, and Bosh and Wade are just ridiculous. They do not miss. With that in mind I often drifted away from my assignment which coach was unhappy about, but no one could stop Wade or Bosh so I felt I needed to help. After a slow first quarter I went a bit point crazy and registered my highest points finish so far. 73 points to win the first game. After the match Michael Jordan himself used the social media tool to congratulate me on 73 points. It’s too early to dream of the Championship, but 1 up in the Eastern Finals is a great place to be in. So that was my weekend when I wasn’t being sick, crawling from my downstairs toilet on my hands and knees and collapsing in a pile at the top of my stairs. I’ve still got the odd day of holiday to take, so I decided to take Friday off to give me a long weekend. This meant that I had all Friday to plough through some games. Over the last month or two I’ve managed to build up a collection of games, but I’ve actually not completed any of them. On Friday morning I set about correcting that by finishing off the last couple of levels of Call of Duty: Advance Warfare. Now that I’m done with the single player, I thought I would give a mini review of sorts. Power changes everything. 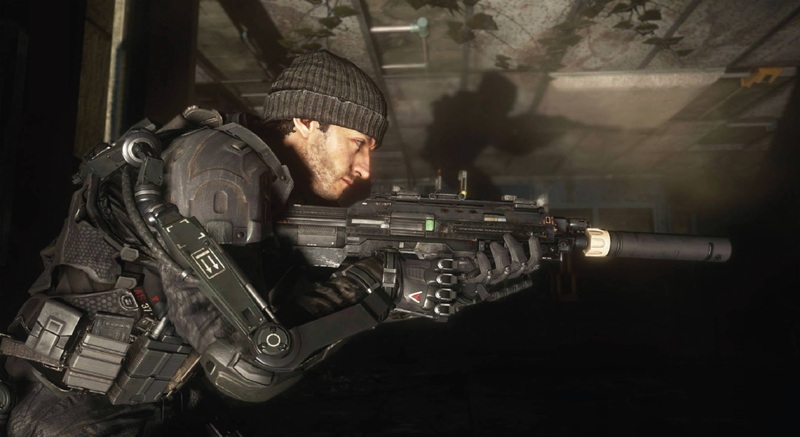 That was the tag line for Advance Warfare, but did it really change everything? I don’t think it did. It just made things a little different. Sure the games looks great, but it feel it still suffers from the same old Call of Duty clichés we’ve seen in pretty much all the series games since Call of Duty 4: Modern Warfare. Silly endings, silly game mechanics, unrealistic events that no one could survive, allies who are indestructible, unlimited enemies. All the usual stuff. There’s one part in the campaign where you are forced to shoot one handed, this means you can’t reload your gun, so you have to pick up weapons every time your ammo is low. Now, this wasn’t particularly hard, but the fact that you are accompanied by Gideon to ‘help’ you, and he does absolutely nothing apart from tell you “Gun at your 6”, is just stupid. Surely in a ‘real life’ situation Gideon would sit you behind some cover, and take out the bad dudes himself, you know, because he isn’t injured and has use of both arms. But nooo, at one point he plonks you down in the middle of a hall way, and he sits behind cover. WTF Gideon, you a-hole. Some buddy you are! Gideon, why you no help me out! I get that they do this so that you have something to do, and don’t just sit around watching, but it just takes away from the experience, it makes me not care. It’s moments like these, that really make me think “Man, this game is stupid”. But, on the whole, it was a fun experience, and the stupid moments were limited to only a handful of situations. The exo suit was meant to be the game changer, it was meant to ‘change everything’. It was a nice addition, but after a while I kind of forgot about it, I was able to play through the game without really needed it, apart from semi scripted moments. I got on just fine running and gunning. So, yea… I guess I kind of feel a little indifferent about it. It was good, but not that good. I also managed to finish off Sunset Overdrive on Friday. This game, I feel totally different about. It was a blast. Not once did I get bored playing through the campaign, not once did I think “Man, this game is stupid.” It was awesome. It was over the top. It was basically insane from start to finish. Now, I’m going to go back over some of the side quests, and other random things, just for fun. On Saturday, we went to visit some friends in London, and basically all we did was eat good food. 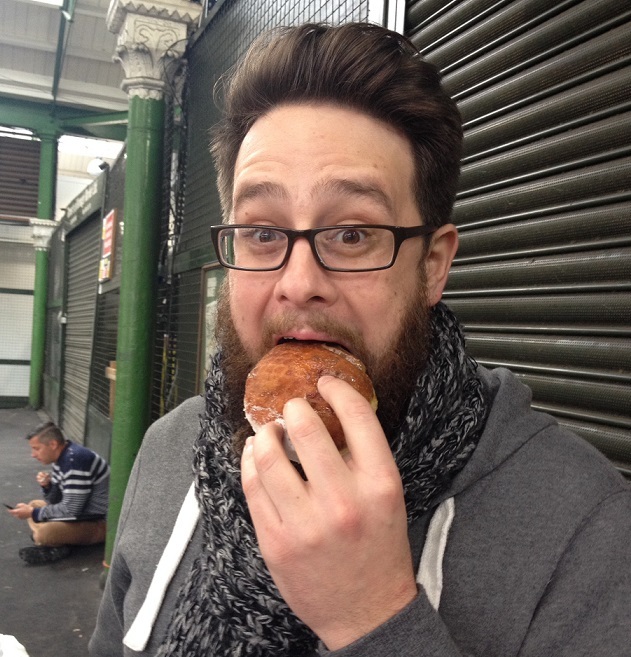 We headed in to Borough Market, which was really cool, and sold the best doughnuts. We headed to what is pretty much a pig restaurant, and had the best ribs I’ve ever had. It was really good, but I still wouldn’t want to live there, sorry London. Once we were back home on Sunday afternoon. I got on to some NBA 2K15. I’ve now finished my first season, and after an abysmal time with the Jazz it was time to move on. I opted for the Houston Rockets, and we’ve had a great start to the season with 7 straight wins, and no losses. I’ve picked up player of the game six times so far. Things are looking good for me this season.